Hair loss or damaged hair is a huge depressant for many. Know how to Reduce hair loss by stem cell therapy. No doubt, it affects the person’s personality, confidence and may lead to physical and mental trauma, etc. As hairs cover the whole human body except the palms of our hands and soles of our feet, any loss or damage to them may affect the appearance of a person. Hair is made up of many keratinocytes, which are being produced by proteins known as keratins. Keratins in our body keep producing new hair cells which replace the old and dead ones. Each hair strand is controlled by the hair follicles which are being influenced by age, disease and wide variety of factors. Your lifestyle affects a lot of your health. Well, with the advancement of new technology, you are now blessed with a number of remedies for treating hair loss. Treatments for hair loss include medications, surgery, laser therapy, wigs, and hairpieces. 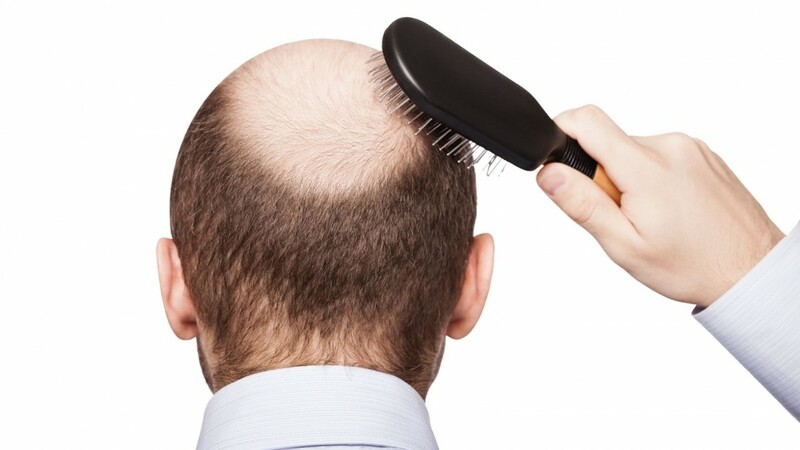 Stem cell therapy for hair transplant and hair fall is one of them which can provide the visual improvement in hair restoration, texture, strength, and growth. Stem cells are unspecialized cells that maintain and repair tissues. Stem cells are unique in that they have the potential to develop into many different types of cells. Stem cells induce changes in the behavior and differentiation of the adjacent cells of hair follicles by paracrine signaling. After injecting stem cells into the scalp they make the hair cells more active. Researchers and stem cell treatment experts have shown very satisfying results with the Stem Cell Therapy for loss of hair by replenishing the lost stem cells. All of us have stem cells in our follicle of hair, but when these follicles get matured or scratched, they can no longer jump-start the hair renewal process and goes under distress leading to hair fall and hair damage. In the stem cell therapy treatment for hair fall, hair damage or hair transplant, the patient’s peripheral blood is withdrawn through venipuncture to prepare autologous plasma concentrate, highly rich in platelets possessing various growth factors. The stem cells from one of the richest autologous source of your body such as adipose tissue will be extracted from the belly area with the help of local anesthesia and stimulated with PRP under asceptic conditions. This mixture will be infused around the hair follicles intra-dermally with the help of local anesthesia using microneedles. PRP has a tremendous therapeutic effect in promoting and activating proliferation of stem cells as it contains at least seven growth factors including epidermal growth factor, platelet-derived growth factor, transforming growth factor-beta, vascular endothelial growth factor (VEGF), fibroblast growth factor, insulin-like growth factor, and keratinocyte growth factor. The enhancement with of stem cells with PRP activates a gene, directing the cellular proliferation, matrix formation, osteoid formation and collagen synthesis; which promotes tissue repair, hair follicle regeneration and improving hair strength as well as texture. Patients need to visit the doctors for recuperation therapies such as physiotherapy, patient’s counseling etc for accelerated recovery. Stem cell treatment for hair loss improves the overall quality and texture of hair. Stem cell therapy for hair re-growth benefit every segment of people whether male or females not only the suave lady or gentleman who wants to better their looks and want to have confident perspectives towards life. People suffering from Alopecia due to medical conditions such as thyroid imbalances, chemotherapy, seborrheic dermatitis, fungal infections, and other stress-related and emotional issues can be benefitted from this therapy. No treatment can be guaranteed. The results of stem cell therapy for skin, hair loss or any cosmetic treatment purposes are very promising without any known side effects or adverse effects because this therapy involves autologous cells. Results may vary from patient to patient. Stem Cell Therapy is beneficial for Hair Growth. It also improves the quality of hair.